Luton to King’s Cross Station Taxi – Luton to King’s Cross Station Taxi Service – King’s Cross area is one of the most newly redeveloped places in London. 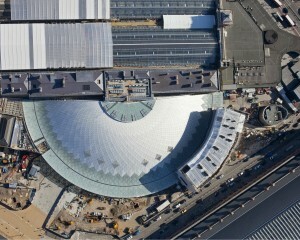 It includes the most famous station in Britain, mostly known as the King’s Cross St Pancras Station. Its reputation comes from its central location and the amazing interior and exterior architecture, turning the station into a real London landmark. Also, it is within walking distance from Euston Station, another transport hub. King’s Cross station was opened in 1868 and now is one of the busiest in London. It was designed by William Henry Barlow, England’s railway engineer and it is said that at those times 6000 men worked day and night for 4 years using 100 steam canes and 1000 horses to build the magnificent construction. It was firstly considered a “gateway to the north”, because its terminals were making the connection to the lines in the north of the city. Now, King’s Cross can be considered a “gateway to Europe” as the high-speed Eurostar train links London to mainland Europe (Paris, Brussels) and continental Europe. Just a few meters west of King’s Cross Station, we can find the St. Pancras International Station. Even though the two stations are operationally separate, they share the King’s Cross St. Pancras tube station and some important routes that secure the interchange between the stations. Both King’s Cross and St. Pancras can be considered London landmarks due to their beautiful architecture and history. The area was previously known as Battle Bridge. Since a statue of King George IV was built by the famous architect Lewis Cubitt in 1836, the surrounding area that includes the two stations changed its name to King’s Cross. However, the adjacent station had to be named differently, to avoid misunderstandings. The name St. Pancras was chosen after a 14 years old Christian orphan that was martyred in Rome. His relics were brought in London in the 7th century and still reside in St. Pancras church in Canterbury. In order to get rail transport from London Luton Airport to King’s Cross Station you need to take the train from the Luton Airport Parkway Station directly St. Pancras station. The train comes approximately every 20 minutes and the journey takes about half an hour. Alternatively, if you want to take the bus from the airport, you will have to make a stop at Marylebone, Baker Street Underground and then to Kings’s Cross Station. London Luton Airport is 34 miles away from King’s Cross Station. If you want to travel by car, you have to take the M1 road until Brent Cross, then the A41 Road and A5205, which will take you to Euston Road. You will then come across Euston Square and Euston station. King’s Cross is just one minute away from there. 247 Airport Transfer can always provide you with a minicab from London Luton Airport to King’s Cross Station. The price for a saloon car is £62 and the journey can take up to one hour and 10 minutes, if we include any traffic delays that may occur during rush hours.